A 52-year-old Oregon woman has died from hypothermia three months after a non-profit housing organization evicted her from her home of 10 years. Karen Batts was found dead in a parking garage in Portland on Saturday during a snowstorm in the city. Her death comes three months after she was evicted from her home at a low income housing complex for failing to pay the $338 rent which was due, reported Willamette Week. Batts was evicted from the Oak Apartments complex in October, having been served a notice for failing to pay August’s rent. The property is managed by Cascade Management and Northwest Housing Alternatives, one of the largest affordable housing providers in the state of Oregon, according to the Seattle Times. 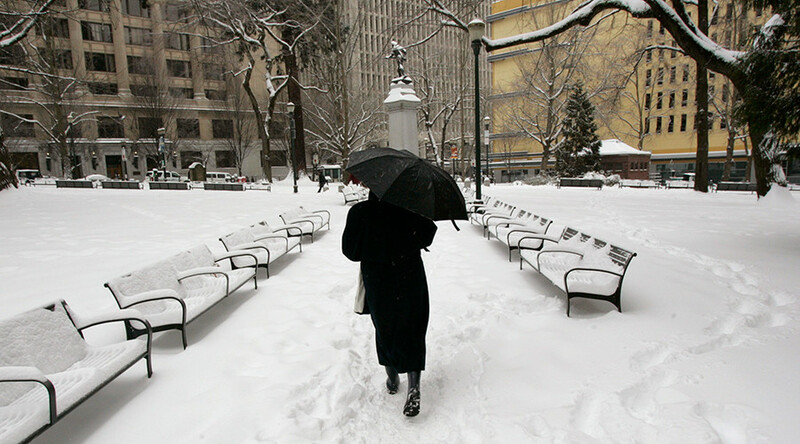 A women died on Saturday from hypothermia in Portland bcus she didn't have a home. Doing just the smallest things could save a life tonight. Described as a model tenant for almost a decade, her behavior had reportedly become erratic in the months leading up to her eviction, with the agency receiving a number of complaints from fellow tenants. “It's a terrible tragedy to have a situation where someone ends up alone and without resources,” McLennan added. It’s not unusual for people experiencing hypothermia to remove their clothes in the latter stages as victims begin to feel hot due to nerve damage. In this instance, by the time officers arrived at the scene, Batts had already passed away. McLennan asserts that the non-profit tried to get help for Batts before evicting her but she declined. "We hate these sorts of situations, but unfortunately, when someone declines services there's not much you can do. And I can say there were dozens of attempts to help,” she said. 4 people have died in Portland of hypothermia. 1 was mentally ill and could not help herself. PLEASE CALL 211 if you see anyone in trouble. So far this year four people have been confirmed to have died from hypothermia in the Portland area and, as the cold snap continues, city officials have announced that 600 additional shelter beds will be open to those in need.